The unveiling of the new ClassicVanHalen.com will happen in January of 2014…just in time for the 30th anniversary of the 1984 album release. The forums will stay the same but the media gallery’s, news, discography, and bios will have an all new look. For those of you who want to take a sneak peak check out the progress at http://ClassicVanHalen.com/wp. Let us know how it looks! 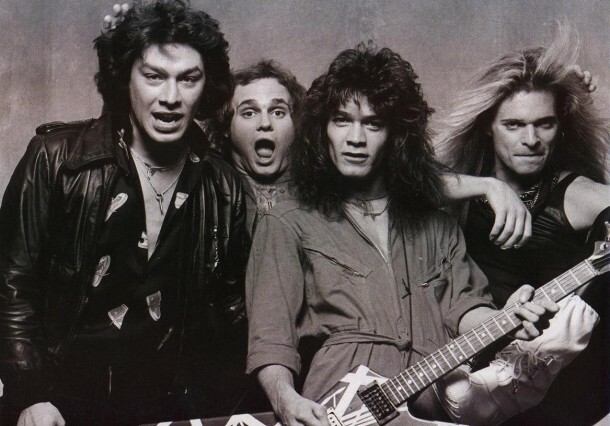 The unveiling of the new ClassicVanHalen.com will happen in January of 2014...just in time for the 30th anniversary of the 1984 album release. Is there a link there. It doesn’t work for me. nice! You should install the Disquis plugin for commenting.. that way your same accts from other sites (like VHND) can be used here too. Testing to see if the avatars carry over….. Happy 2014 , VH Freak !!! Great job on the new stuff!! The forum is running more smooth as well. I’m going to be changing over the front page to a new look ClassicVH.com. The forum will stay the same but everything else will look different. If you see a post you started in the main VH forum moved for no reason it is because I am including it as a news item on the main page. That is the only way to promote it. I’ve done that already with the “1984” and the “guitar world” posts. Also, I am merging the News forum to the Main forum. You should see the change either tonight (20th of January) or tomorrow sometime. Let me know if you come across any problems. I’ll be adding more videos and pictures as I have time. I'm going to be changing over the front page to a new look ClassicVH.com. The forum will stay the same but everything else will look different. If you see a post you started in the main VH forum moved for no reason it is because I am including it as a news item on the main page. That is the only way to promote it. I've done that already with the "1984" and the "guitar world" posts. Also, I am merging the News forum to the Main forum. You should see the change either tonight (20th of January) or tomorrow sometime. Let me know if you come across any problems. I'll be adding more videos and pictures as I have time. The new look is pretty cool ! The best thing about the new look is the 'bios' page. Just Eddie, Dave, Alex and Mike. No Sammy. No Gary. No Wolfgang. Just the original four members and then nothing, just space. The best thing about the new look is the ‘bios’ page. Totally agree!! It’s the perfect way to do it! Is it possible to add pics to the picture gallery like we could in the olden days?